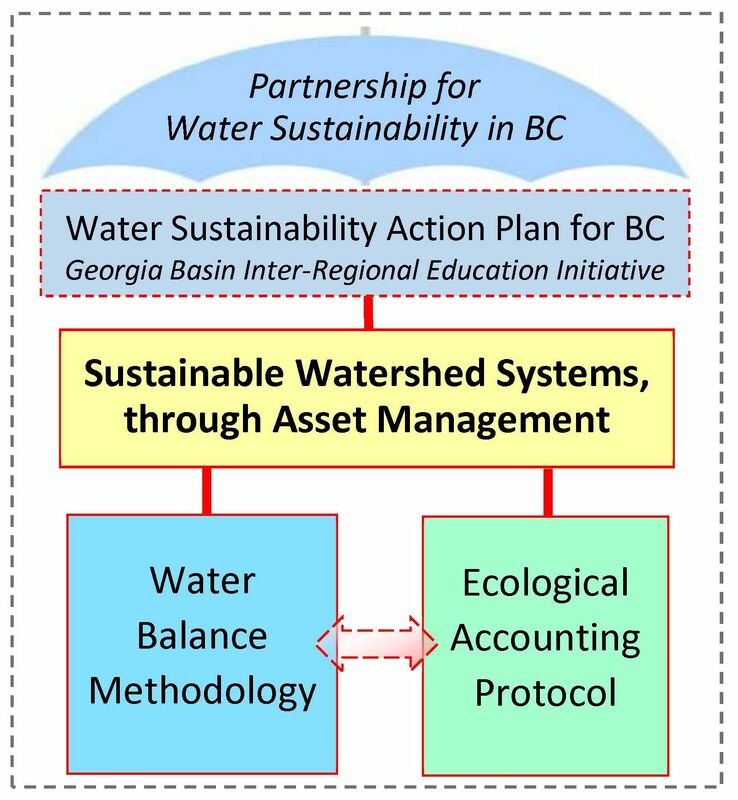 In November 2015, and with release of Beyond the Guidebook 2015: Moving Toward “Sustainable Watershed Systems, through Asset Management”, the Partnership launched a process to introduce the Ecological Accounting Protocol (EAP) into standard practice. EAP is one of the twin technical pillars for the whole-system, water balance approach that would refocus business processes to properly manage watershed systems within the built environment. “EAP is a method of ascertaining economic values of services drawn from natural assets. It is a tool for practitioners in the local government setting. The purpose of EAP is to help practitioners calculate the opportunity cost of drainage infrastructure,” wrote Tim Pringle the second of two companion articles published in the Winter 2017 issue of the Asset Management BC Newsletter. Tim Pringle is the Chair, Ecological Accounting Protocol Initiative. “If natural assets and derived services variables are not measured, they will not be managed in the context of drainage infrastructure,” emphasizes Tim Pringle. Download Vision for Ecological Accounting Protocol – A Tool to Calculate the Opportunity Cost of Drainage Infrastructure to read the complete article as published in the Winter 2017 issue of the Asset Management BC Newsletter.